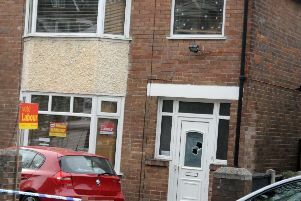 Thieves tried to break into a Sheffield mother’s house while her one-yer-old child slept upstairs. Amy Swain revealed that thieves had tried breaking into her home on Southey Green last night while her young child was in bed. The thieves tried breaking into her home using a flat-headed screwdriver. Thankfully, the thieves were unable to break into Amy’s home after being startled by her dogs. Amy said: “Everyone please be careful someone tried breaking into my house when my 1 year old was in bed and myself in the house if it wasn’t for dog barking and me shouting to him they probably would of got in! !